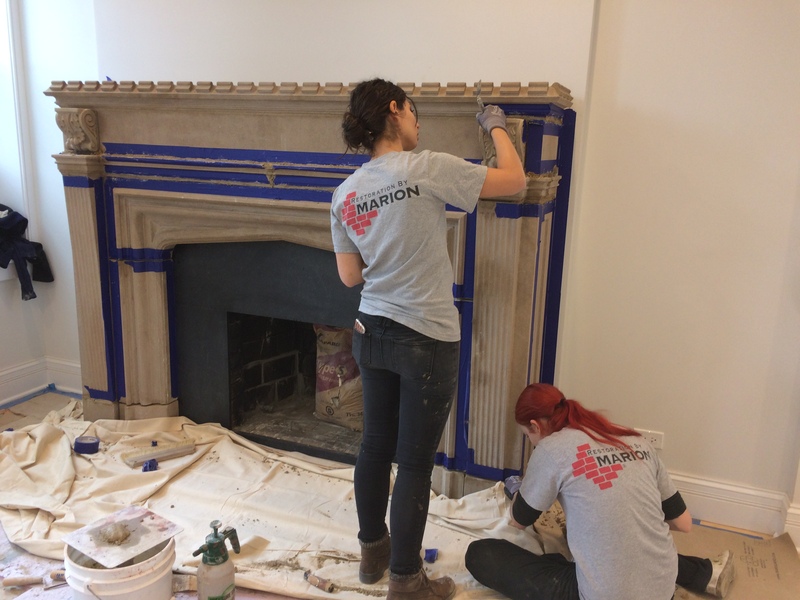 Fireplace on the West Concord Place underwent full restoration. 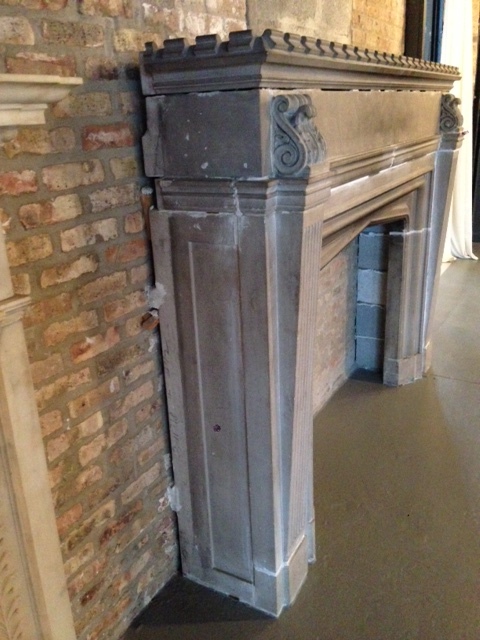 The fireplace mantel surrounding the original brick was transported to our workshop and dismantled for restoration. The first task was cleaning the soot and old mortar from the stones. 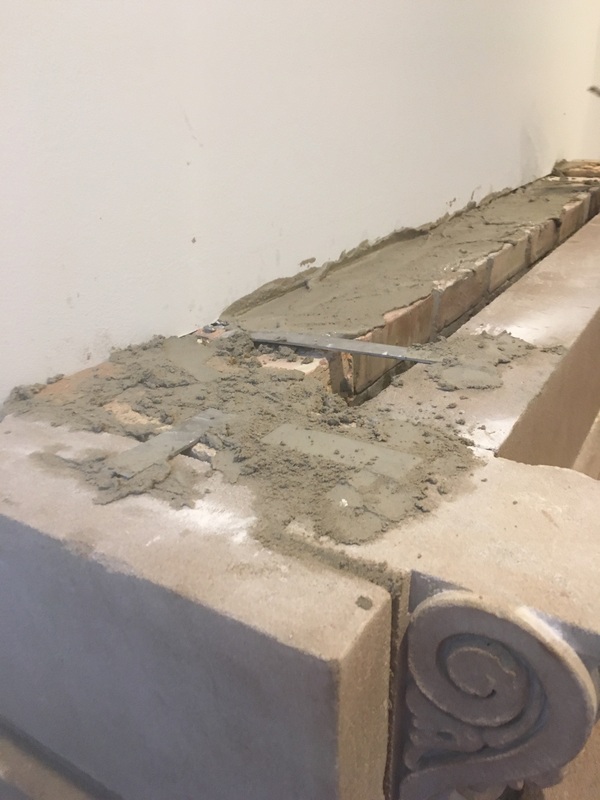 Temporary plaster from retail staging of the fireplace facade was carefully removed using hand tools to prevent damage to the original stones. 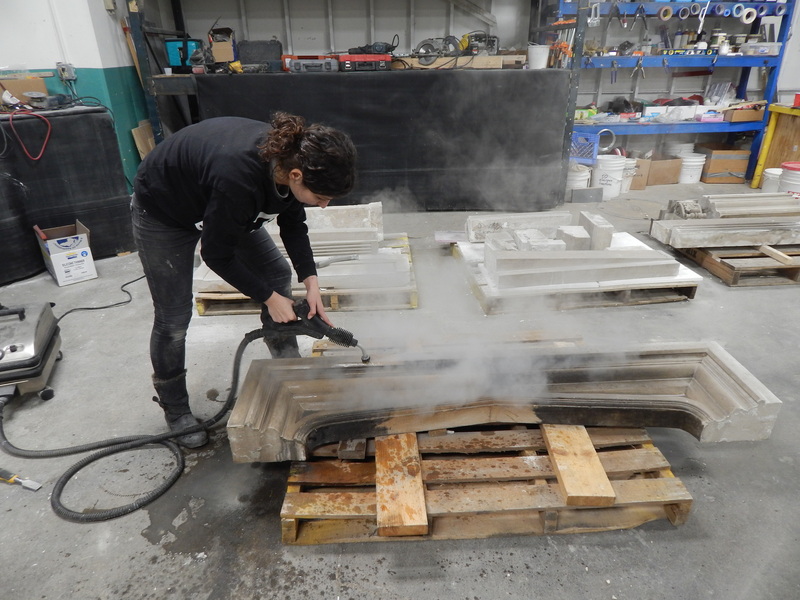 Cleaning tests helped us determine the best method that would be most effective without damaging the stone. Years of exposure to soot and interior pollution had turned the stone dingy gray; thorough cleaning revealed the stone’s natural buff color. 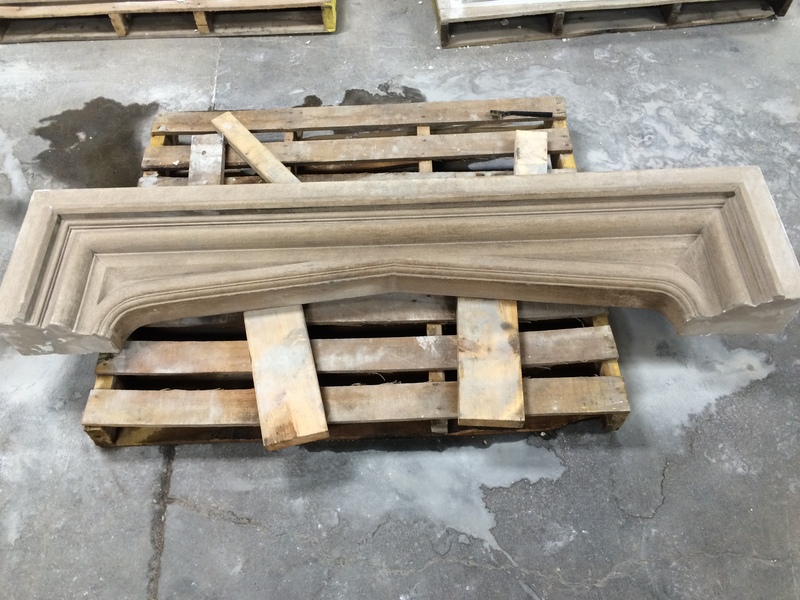 The gentle cleaning process also ensured that no details in the stone profiles or carved ornamentation were damaged or lost. 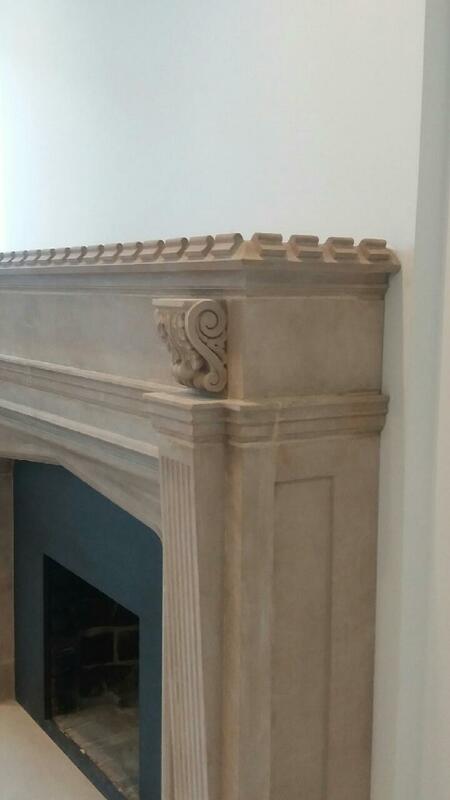 The cleaned fireplace surround pieces were transported to the client’s home and assembled on site. Each stone unit was placed and secured in exactly the right position to recreate the design and layout of the original surround. 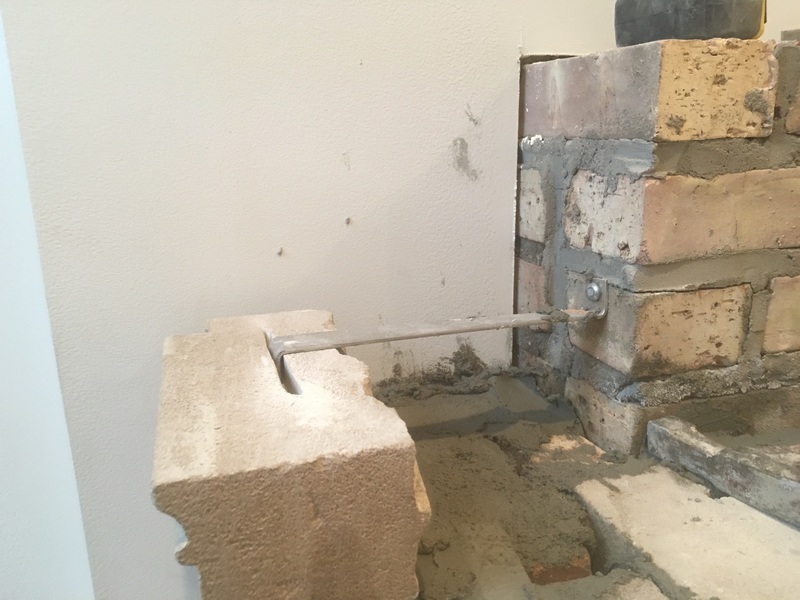 All chips and spalls in the limestone were remodeled using US Heritage Group restoration materials specially formulated for historic limestone. The restoration material was installed and modeled to the appropriate dimensions by specialist conservators. As the material cured and hardened it was carved into the detailed profiles matching the original. 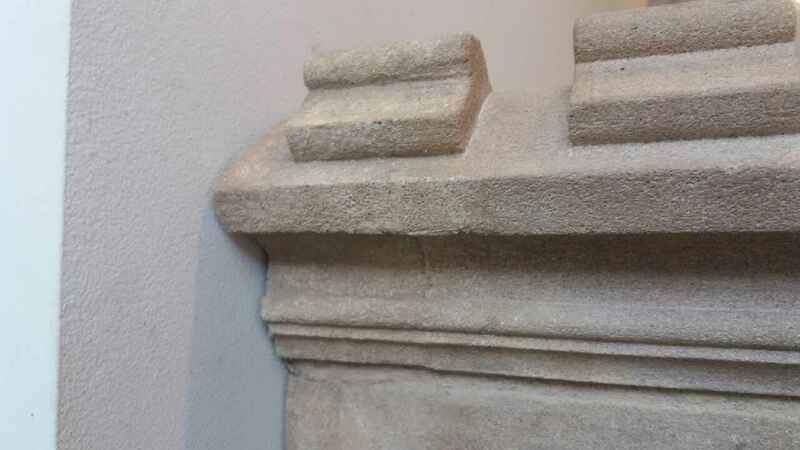 The work was executed by highly-trained conservators and masons using restoration materials specifically formulated to be compatible with the historic stonework.